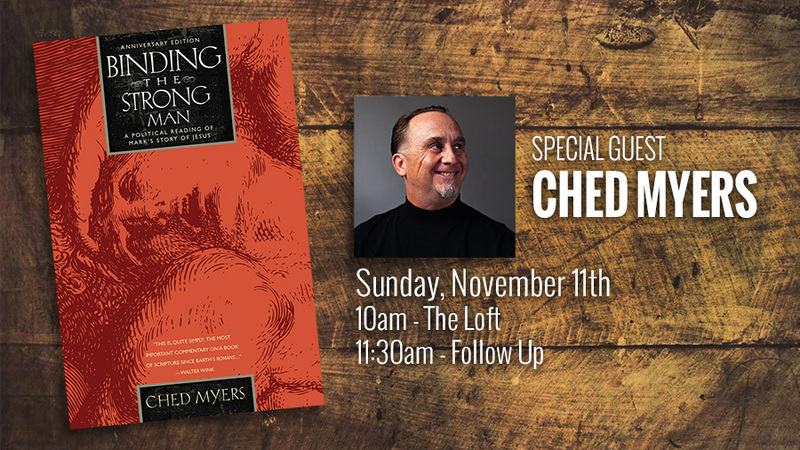 Ched Myers of Bartimaeus Cooperative Ministries will be joining us in The Loft at 10am and Follow Up at 11:30am. Author of “Binding the Strong Man: A Political Reading of Mark’s Story of Jesus”, Ched Myers is an ecumenical activist theologian as well as a popular educator, writer, teacher and organizer, committed to animating and nurturing church renewal and radical discipleship, and supporting faith-based movements for peace and justice. Find his blog, many articles, webinars, and a few audio recordings at chedmyers.org.